With increased access to data, we are not far from a future where communities will be sharing higher levels of information and data, which will establish cause and consequence associations around peoples’ actions and behavior. This is particularly important for information related to consumption patterns within a community, as individual actions impact overall community resources. 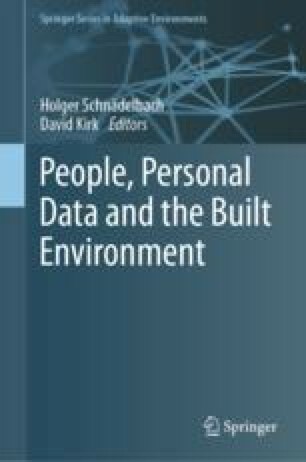 To avoid misinterpretations of such data, and to enable users to become aware of the impact of their personal consumption, this work uses Social Translucence Theory as a potential framework to design and prepare the built environment for this information sharing future. The chapter starts by describing the theory and related work but also consumption behaviors and how these have been approached in terms of feedback. It defines Social Translucence theory parameters that could help users to adopt coherent behaviors without compromising each other’s well-being by highlighting in advance the consequences of such information being disseminated across diverse channels. A concept study was conducted using scenario-based design, for which five consumption behaviors were selected, portrayed in scenarios and stories, and validated using a survey that reached 584 respondents. The results revealed participants were familiar with some of the cues provided in each scenario, but also suggested which ones should be further refined to make sure basic rights, such as privacy, are given to users when their personal data is considered. This work is integrated within the LARSyS project (UID/EEA/50009/2013) and the ARDITI grant (M1420-09-5369-FSE-000001).